Poly’s defense, which was the star of the show in its 65-27 victory over No. 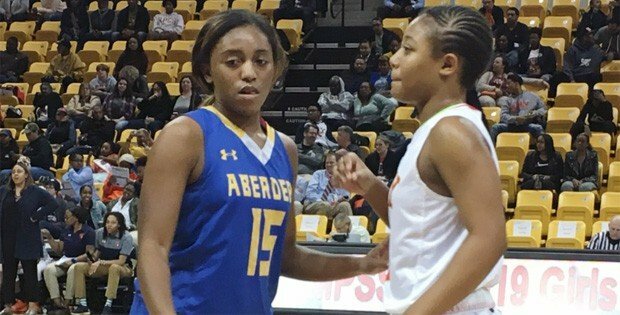 17 Aberdeen, the first Class 3A state semifinal on Thursday evening at Towson University’s SECU Arena, will have one more challenge — and it’s a big one — when it faces Frederick in Saturday’s final while seeking the program’s first-ever state crown. Game time is set for 8 p.m. at the same site. The two-time defending state champion Cadets (23-3) have plenty of firepower, led by Arkansas commit Makayla Daniels and a host of standouts who helped pummel ninth-ranked Long Reach, 63-44, in the other semifinal. Long Reach senior forward Rebecca Ford look to pass over Frederick sophomore forward Rose Bubaker. Frederick has a variety of offensive options, a fact that the Lightning (18-5) discovered first hand after doing a pretty good job of shadowing Daniels, who averaged 21.2 points per game this season but finished with 17 points on 6-for-16 shooting against the Lightning. Sophomore forward Rose Bubakar was Frederick’s most prolific player against Long Reach, totaling 27 points on 13-of-18 shooting while hauling down 13 rebounds — seven from the offensive boards. The Lightning were blitzed by Daniels and her mates early, falling behind, 9-0, to start the game before going on a 16-4 run of their own to take the lead at the end of the first quarter. Senior guard Lyric Swann led the charge for the Lightning, notching nine of her team-high 18 points during the spree. She also assisted her younger sister, Jaelyn, for a three-pointer with one second left in the period as Long Reach spurted ahead. 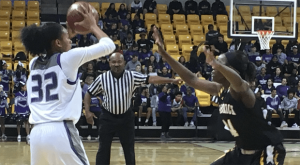 The Howard County champs increased the lead to 20-15 on a layup by senior guard Malaya Streeter midway though the second quarter until Frederick began to assert itself at both ends of the floor. That trend continued in the second half when Bubaker did most of her damage. 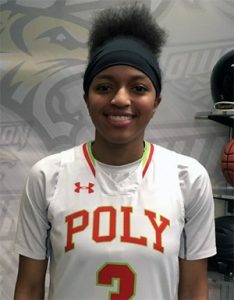 Frederick’s upcoming opponent, Poly, showed how capable it is of playing extraordinary “D,” as it did in holding Aberdeen’s top scorers — Jaelyne DeVeaux and Anija Stancell — to a combined 0-for-25 from the floor. The duo was averaging 20 and 15 points per game, respectively, per outing this winter until the Engineers clamped down. All told, the Eagles (23-2) shot a meager 21 percent in the setback. “We always emphasize on keeping our hands up,” Poly junior guard Jada Gross said. And gave Gross the opportunity to grab a game-high seven rebounds of the 40 (to 24 for the Eagles) the Engineers ripped down. Meanwhile, Aberdeen had a difficult time keeping Poly (22-4) from getting to the rim, or at least trying to do so. Although the Baltimore City champs scored just one basket in the second quarter, they still riddled the Eagles’ defense. Poly went to the foul line a whopping 16 times in that period alone and made 22 trips overall in the first half while building a sizable 32-15 advantage over the Harford County squad at the intermission. While the Engineers didn’t do all of their work from the charity stripe, it just seemed that way in the second quarter. Jada Gross paced Poly’s offense with 18 points. They also took it to Aberdeen in the first quarter behind Gross, who pumped in 13 points on 3-for-3 shooting from the floor, including a buzzer-beating banked triple to close the opening period. She said that she hit a similar shot in practice last week, and her coach backed her up. Whether they were kidding or not, her production was no joke to the Eagles. Gross finished with a team-best 18 points, one shy of a season-best 19 points produced by Aberdeen’s Cassandra Smith — the only Eagle to tally more than four points. Poly junior forward Karis Ferguson opened the second half in similar fashion, only without the aid of the glass. Junior guard Tenea Robinson followed with a stick-back for the Engineers before Gross gunned in another three and the rout was on at 40-15 Poly with the Eagles searching for answers. The Engineers weren’t going to give them any, although they were happy to keep pouring it on with senior guard Brashae Rice and senior forward Kayla Henry helping to build a 51-19 cushion by the end of the third quarter. By that time, Poly had all but earned its fourth all-time championship game berth and first since 2016. Pictured above: Aberdeen’s Kamari Norton and her junior guard Poly counterpart Taijah Ridgeway jostle for position on an inbounds play in a Class 3A state semifinal on Thursday. FREDERICK: Makayla Daniels 17, Rose Bubakar 27, Jalynn Montgomery 5, Rhiana Hall 5, Vanessa Boyd 2, Hannah Layman 2, Saniya Dorsey 5. TOTALS: 25 11-14 63. LONG REACH: Lyric Swann 18, Jaelyn Swann 8, Haley Thompson 9, Rebecca Ford 2, Malaya Streeter 4, Jalyn Richardson 4. TOTALS 18 6-7 44. ABERDEEN: Jaelyne DeVeaux 1, Tristin DeVeaux 4, Anija Stancell 2, Cassandra Smith 19, Elexa Jones 1. TOTALS: 9 9-13 27. 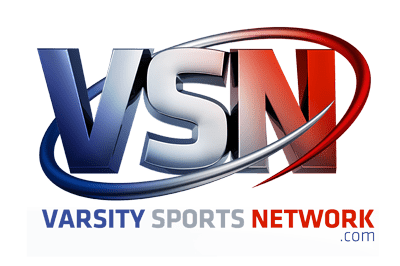 POLY: Brashae Rice 11, Cache Wilson 4, Tenea Robinson 8, Dasia Townes 6, Karis Ferguson 5, Tijaih Ridgeway 7, Jada Gross 18, Kennedi Fullwood 2, Kayla henry 4. TOTALS 19 22-32 65.